Our new ultra-modern 24-hour Bellaire emergency room in Bellaire, TX is now open. As part of our Houston area community, emergency room makes lives better for residents of Bellaire and surrounding communities by providing top notch emergency medical care 24/7. At our ER, you will experience little to no wait time and you will always interact directly with the board-certified physicians caring for you during your emergency room visit. We treat major and minor trauma, and injuries including broken bones, heart problems, allergies, asthma and more, as well as cardiology and OB-GYN issues. If you find yourself with an emergency injury, don’t hesitate to come into SignatureCare Emergency Center for emergency service today. Our Bellaire emergency room is equipped with an onsite laboratory, multi-slice CT scan, X-ray machines and Ultrasound equipment. 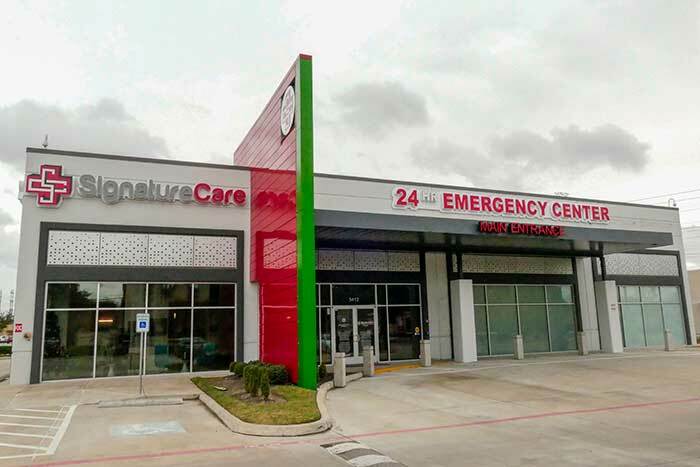 Residents of Bellaire, Southside Place, West University Place, Meyerland and areas surrounding 77081 zip code now have a 24-hour emergency room staffed by board-certified physicians within walking or short driving distance of their homes or businesses. Please apply for available emergency room careers and our managers will contact you as soon as possible closer to opening. Exit on South Rice Ave. Turn left on South Rice Ave.
Dr. Erica Daniels received her Bachelor of Arts degree in Neuroscience with a minor in Economics from Wellesley College in Wellesley, Massachusetts, before earning her medical degree from University of California, Davis School of Medicine in Sacramento, California. She completed her Emergency Medicine Residency at The University of Texas Medical School at Houston. Dr. Daniels is board-certified in Emergency Medicine and is approved to practice medicine by both Texas and California Medical Boards. She has extensive experience as a medical researcher and conference presenter. When she is not practicing medicine, Dr. Daniels enjoys spending time with her family, walking her dogs, catching up with friends and traveling. She is currently the Medical Director for SignatureCare Emergency Center in Bellaire.